Excel template is also a workbook, the only different is that it can be as a template or module to create other similar workbooks. 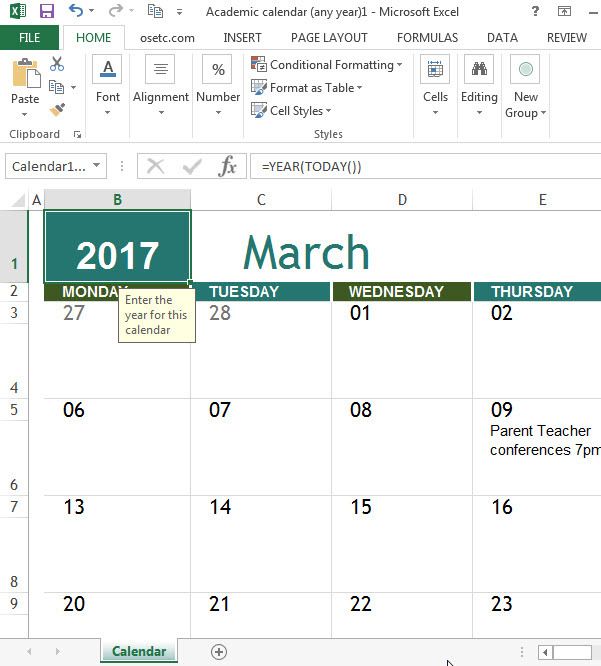 There are many free excel templates in the internet or you can create your own excel template. 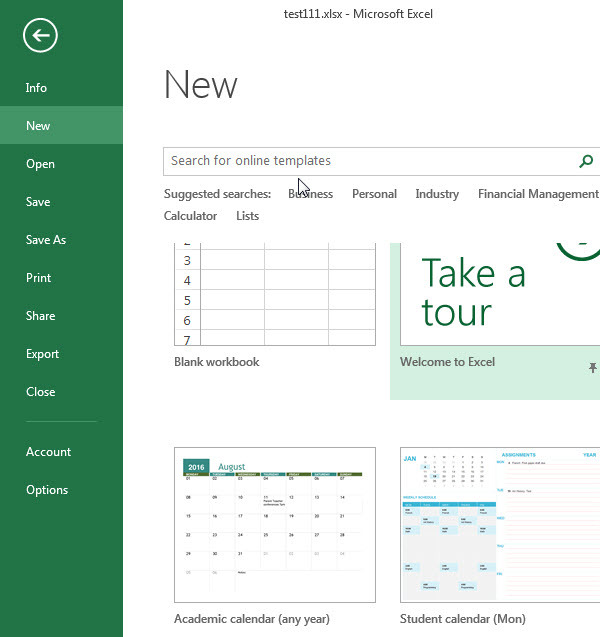 Step 2# Then clicking “New” menu, you will see lots of templates, such as: Blank workbook, Academic Calendar, Student calendar…etc. 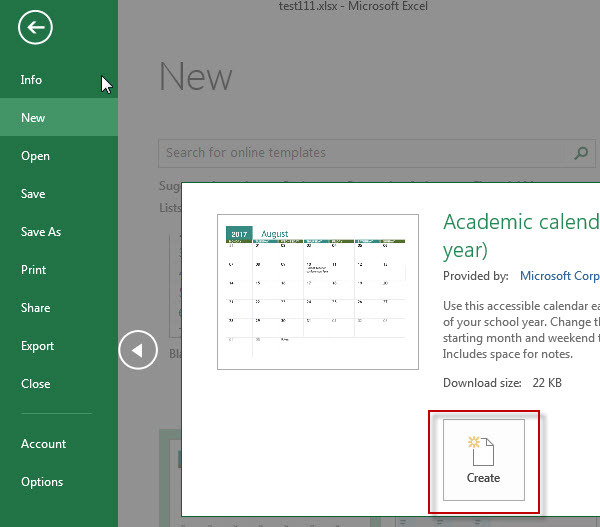 Step 3# choose one sample category, such as “Academic calendar”, then click “create” button. Step 4# one new workbook created. The below steps will guide you how to create your own template. Step 1# create one black workbook or create one workbook based on existing templates. Step 2# make some changes that you want to appear in all new workbook that you base on the template. 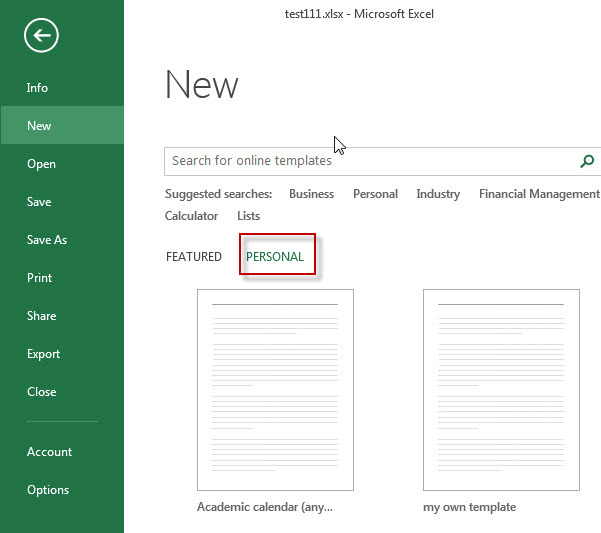 Step 3# On “File” Tab, click “Save As” , then input one file name, select “Excel Template(*.xltx)” As file type. 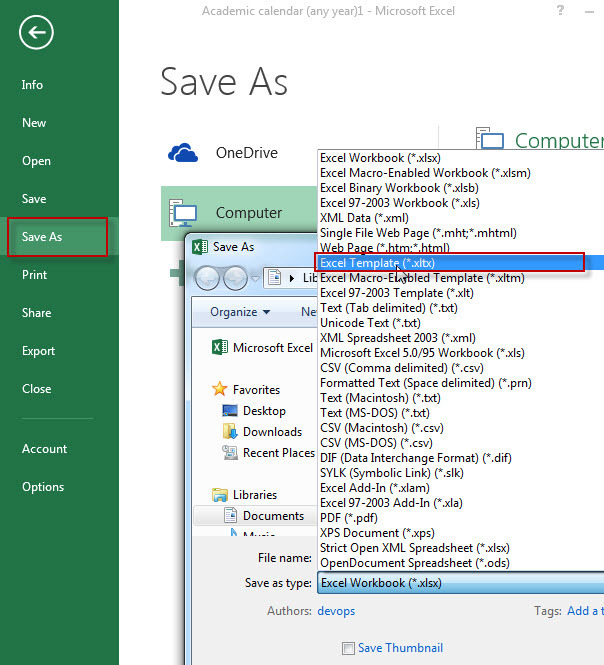 Step 4# click “Save” button.